Last week my husband and I went to Canada to visit family. We realized that we hadn't been there for about 15 years. We went to Sussex, NB and soon found out that they live with art every day. 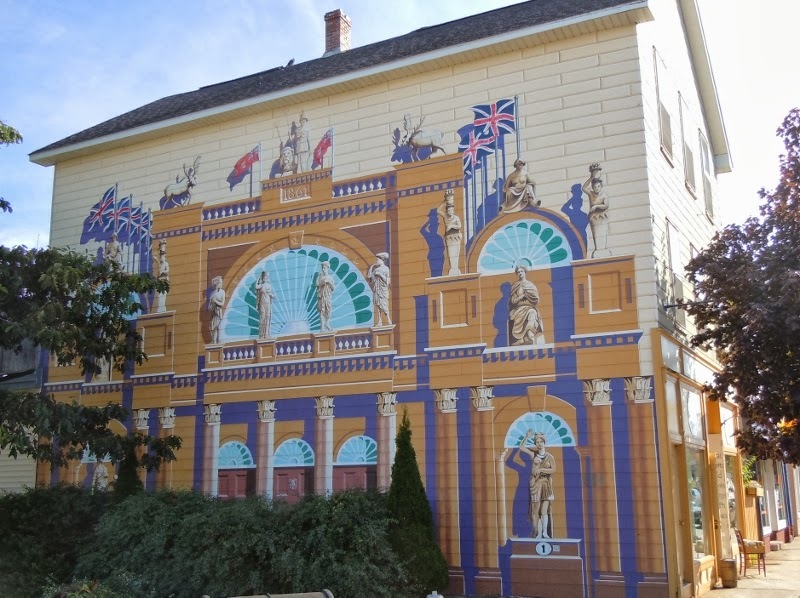 They have murals painted on the exterior of buildings all around town. The building exteriors were different types of surfaces that the artists painted over, such as clap boards, brick, and stone. In addition they often had other materials that they had to incorporate in their work, like vents, pipes and metal corrugated patches. 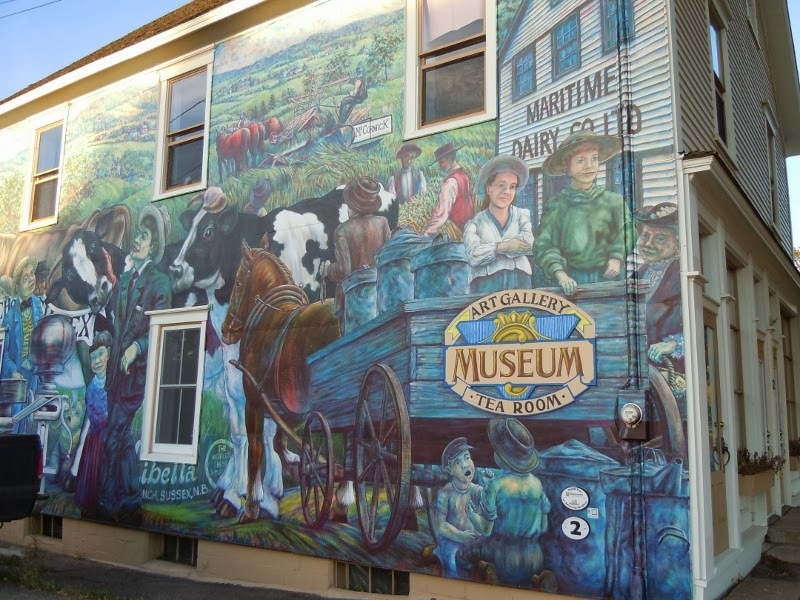 The murals depict various historical events/times in Sussex which is in the midst of a farming community. 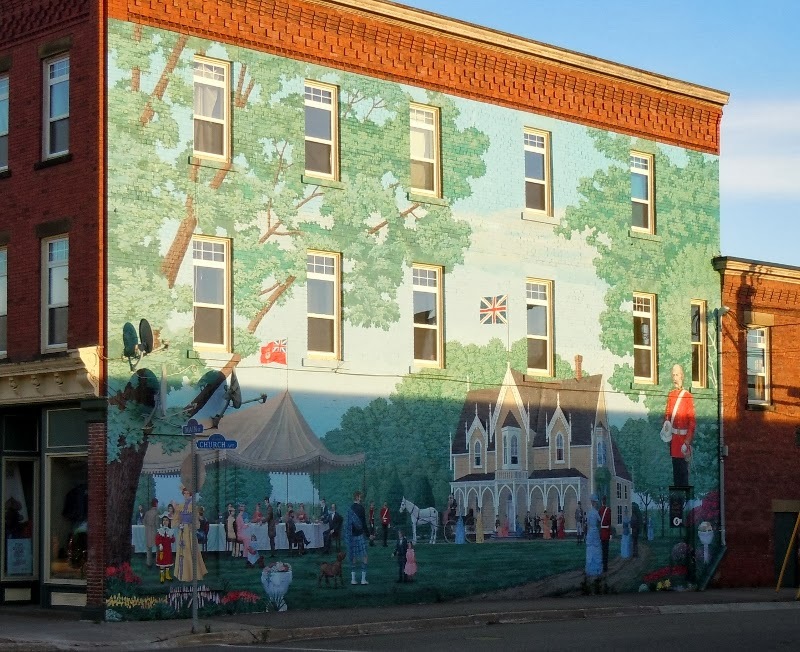 The murals revealed Canada's English heritage as well as farming and even hockey. We were told that the artists came from all over the world to create the murals. There are 27 of them so far. The above mural was painted on the end of the downtown block of businesses. It was done right over the clap boards that cover the outside of the building. I was amazed at how straight the vertical lines came out even though they were painted over horizontal clap boards. I did notice that this one was painted by an artist from the UK. The above painting was on the opposite side of the street in the downtown area. It was painted on brick facade.